Aim: The present study focuses on analyzing the effects of Sudarshan Kriya yoga (SKY) on EEG as well as ECG signals for stress regulation. To envision the regulation of stress Determination Test (DT) has been used. We have chosen a control group for contriving a cogent comparison that could be corroborated using statistical tests. Subjects and Methods: A total of 20 subjects were taken in the study, of which 10 were allotted to a control group. Electroencephalograph was taken during a DT task, before and after SKY the sky session with 30 days of SKY session given to the experimental group. No SKY was given to the control group. 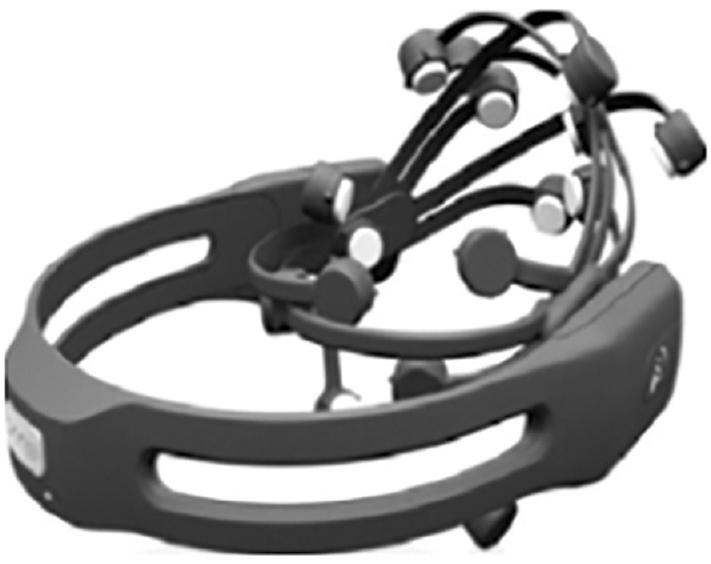 Results: We quantified mental stress using EEG, ECG and DT synergistically and used SKY to regulate it. We observed that alpha band power decreases in the frontal lobe of the brain with increasing mental stress while frontal brain asymmetry decreases with increasing stress tolerance. Conclusions: These EEG, ECG and DT shows a significant decrement in mental stress and improvement in cognitive performance after SKY, indicating SKY as a good alternative of medication for stress management. Context: Stress is defined as an alteration of an organism's balance in response to a demand perceived from the environment. Diverse methods exist to evaluate physiological response. A noninvasive method is salivary measurement of cortisol and alpha-amylase. A growing body of evidence suggests that the regular practice of Yoga would be an effective treatment for stress. Aims: To determine the Kundalini Yoga (KY) effect, immediate and after 3 months of regular practice, on the perception of psychological stress and the salivary levels of cortisol and alpha-amylase activity. Settings and Design: To determine the psychological perceived stress, levels of cortisol and alpha-amylase activity in saliva, and compare between the participants to KY classes performed for 3 months and a group that does not practice any type of yoga. Subjects and Methods: The total sample consisted of 26 people between 18 and 45-year-old; 13 taking part in KY classes given at the Faculty of Dentistry, University of Chile and 13 controls. Salivary samples were collected, enzyme-linked immunosorbent assay was performed to quantify cortisol and kinetic reaction test was made to determine alpha-amylase activity. Perceived Stress Scale was applied at the beginning and at the end of the intervention. Statistical Analysis Used: Statistical analysis was applied using Stata v11.1 software. Shapiro–Wilk test was used to determine data distribution. The paired analysis was fulfilled by t-test or Wilcoxon signed-rank test. T-test or Mann–Whitney's test was applied to compare longitudinal data. A statistical significance was considered when P< 0.05. Results: KY practice had an immediate effect on salivary cortisol. The activity of alpha-amylase did not show significant changes. A significant decrease of perceived stress in the study group was found. Conclusions: KY practice shows an immediate effect on salivary cortisol levels and on perceived stress after 3 months of practice. Aim: The study was designed to find the effect of selected yogic practices on lumbar spondylitis. 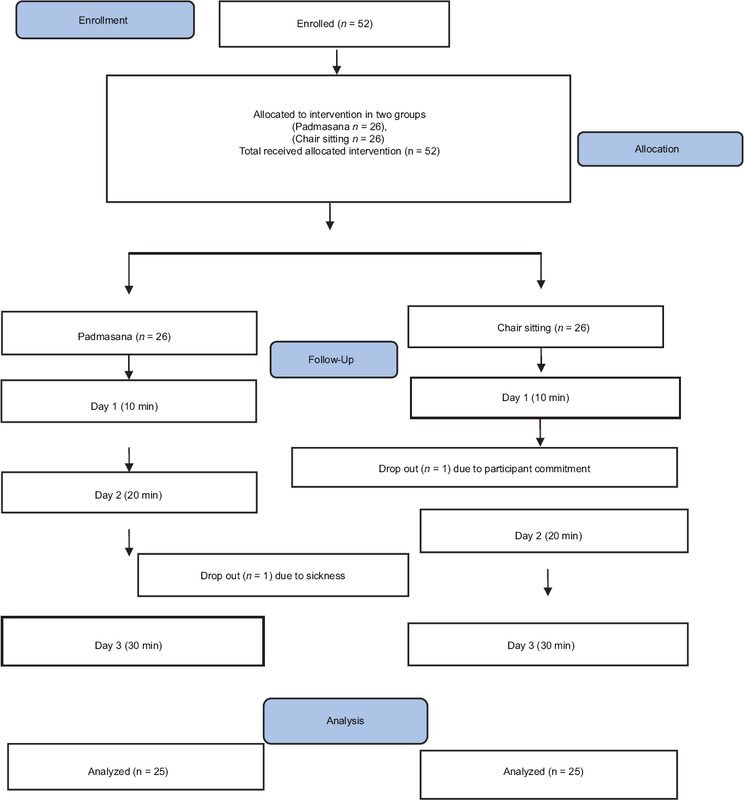 Materials and Methods: This was a prospective, randomized study without a control trial. A total of 172 participants with lumbar spondylitis (age 21–79 years) from the outpatient department (OPD) of neurosurgery, AIIMS, Bhubaneswar, were randomly assigned to receive yoga therapy. The module of selected yogic practices consisted of pawanamuktasana series 1 (loosening and strengthening), asana, pranayama, and relaxation techniques Yoga Nidra. Statistics Analysis: Within groups, comparison was done by paired t-test, and between groups, ANOVA test was carried out to determine the significant difference among the various groups under study. Correlation regression analysis was done to measure the degree of linear relationship between pre- and post-study for various groups. 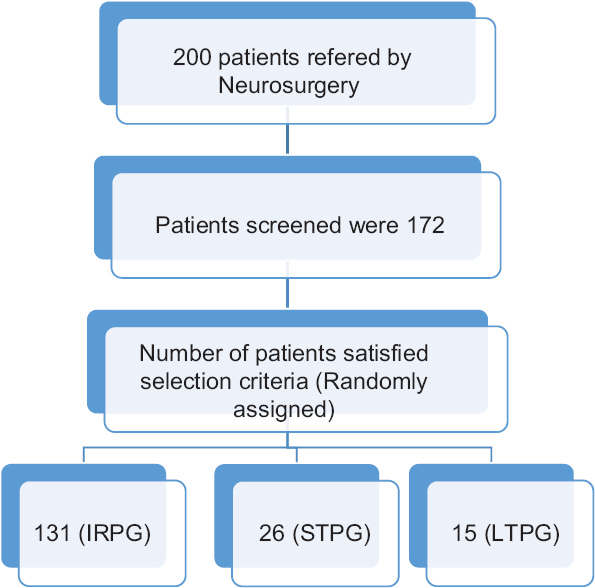 Results: Significant differences were observed with yoga therapy in instant relieve practice group, in short-term practice group, and in long-term practice group (LTPG) with better results in LTPG. Conclusion: Selected yoga therapy has got the better result in management of pain in lumbar spondylitis. Background: Many studies have assessed Yoga practices using instruments such as AcuGraph, which measures conductances at Jing-Well points of acupuncture meridians. Such studies find that participation in Yoga programs ranging from a weekend to many months systematically increases subtle energy. Here, we report comparison of Jing-Well point conductances before and after sitting in Lotus Posture with those before and after sitting in a chair. 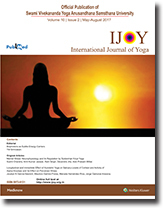 Methods: This was a controlled study conducted on 52 male Yoga practitioners (mean age in years 23.03 ± 3.23), all with >1 year experience of Yoga practices. Participants were alternately assigned into two groups, sitting in Lotus Posture and sitting in a chair. Each was measured on 3 successive days, before and after sitting as instructed for 10 min on the 1st day, 20 min on the 2nd day, and 30 min on the 3rd day. Results: The two groups yielded completely different results: those sitting in Lotus Posture for 30 min showed increases in subtle energy levels (E_Ls) in all acupuncture meridians; those sitting in chair produced universal decreases. Results for 10 and 20 min showed how these changes in energy values took time to build up with increasing time. Conclusions: Sitting in Lotus Posture is held to strongly stimulate subtle E_Ls, so results agreed with the experimental hypothesis. Nevertheless, decreases in E_Ls of those sitting in a chair were surprising since the rest might be expected to have no effect. Cancer has recently been known to originate from stem cell-like cells, called cancer stem cells (CSCs). Their unique properties of self-duplication, multiplication, as well as migration give the CSC resistance over conventional cancer therapies. Newer therapies are in developmental stage to target these stem cell-like populations and become the vanguard of future treatments. Several complementary and alternative treatments have been used in cancer management as an adjunct to conventional therapy to improve the overall quality of life and reduce recurrence. Yoga stands as the third most popular of all complementary and alternative medicine treatments currently used in cancer patients today. Preliminary results show that yoga modulates neural, hormonal, and immune functions at a cellular level. 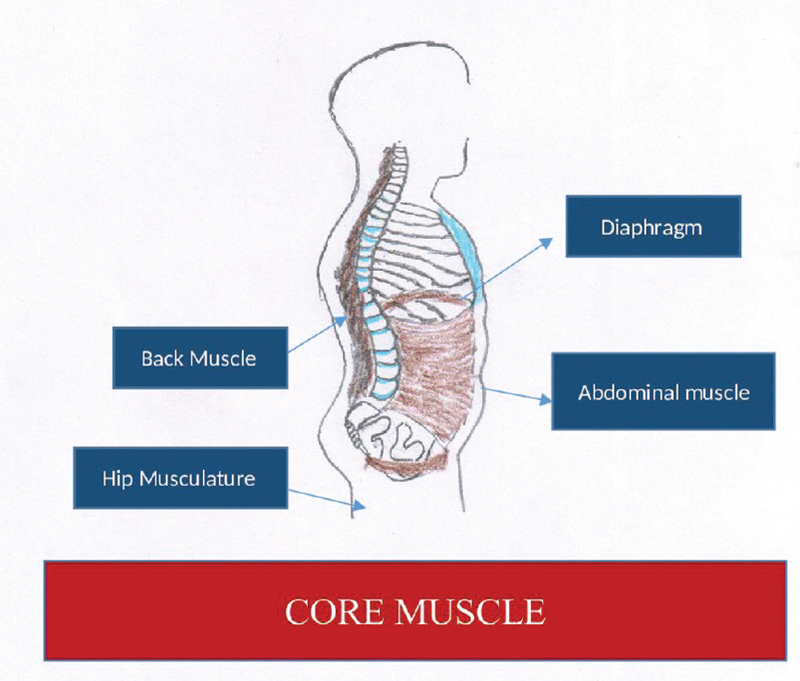 The scope of this commentary is to discuss the current evidence-based medicine on yoga and its effect on CSCs. Background: Yoga is an ancient Indian science as well as the way of life. Pranayama is one of the most important yogic practices. Bhramari pranayama was shown to produce a reduction in blood pressure after the practice and thus reported to produce parasympathetic activity. However, there are no known studies reported the heart rate variability (HRV) changes either during or after the practice of Bhramari. Hence, this study aims at evaluating the HRV changes during and after the practice. Materials and Methods: Sixteen (9 males, 7 females) healthy volunteers with the mean ± standard deviation age of 23.50 ± 3.01 years were recruited. All the subjects performed Bhramari pranayama for the duration of 5 min. Assessments were taken before, during, and immediately after the practice of pranayama. Statistical analysis was performed using students paired samples t-test, Wilcoxon signed-ranks test and repeated measures of analysis of variance and Post-hoc analysis with Bonferroni adjustment for multiple comparisons. Results: Results of this study showed a significant increase in HR and low frequency spectrum of HRV and a significant reduction in high frequency spectrum of HRV during the practice of Bhramari which revert to normal after the practice. Conclusion: Results of this study suggests that there might be a parasympathetic withdrawal during the practice of Bhramari. However, further studies are required to warrant the findings of this study. Background: Yoga, an ancient Indian system of exercise and therapy is an art of good living or an integrated system for the benefit of the body, mind, and inner spirit. Regular practice of yoga can help to increase blood flow to the brain, reduce stress, have a calming effect on the nervous system, and greatly help in reducing hypertension. Aim: Aim of the present study is to evaluate the effect of 1-month yoga practice on body mass index (BMI), and blood pressure (BP). Materials and Methods: The present study was conducted to determine the effect of yoga practice on 64 participants (age 53.6 ± 13.1 years) (experimental group) whereas the results were compared with 26 healthy volunteers (control group). 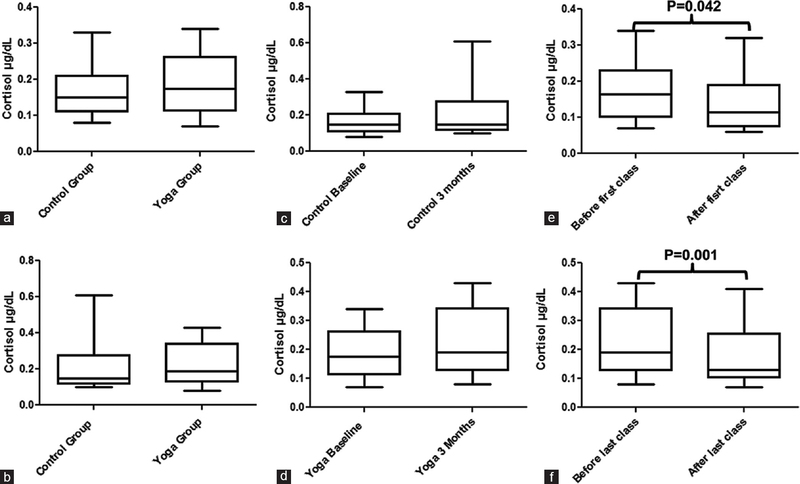 We examined the effects of yoga on physiological parameters in a 1-month pilot study. Most of the participants were learner and practiced yoga for 1 h daily in the morning for 1 month. BMI and BP (systolic and diastolic) were studied before and after 1 month of yoga practice. Results: Yoga practice causes decreased BMI (26.4 ± 2.5–25.22 ± 2.4), systolic BP (136.9 ± 22.18 mmHg to 133 ± 21.38 mmHg), and diastolic BP (84.7 ± 6.5 mmHg to 82.34 ± 7.6 mmHg). On the other hand, no significant changes were observed in BMI and BP of control group. Conclusion: This study concludes that yoga practice has potential to control BMI and BP without taking any medication. Context: Currently, the literature on hot yoga is lacking, and there is still much to understand regarding the safety of these practices. However, one point of safety often emphasized is hydration during the practice of hot yoga. Aim: The aim of this study was to examine hydration encouragement by hot yoga instructors and hydration behaviors and related outcomes by hot yoga participants. Methods: A cross-sectional study (n = 700) collected self-report data on demographics, types and frequency of yoga practiced, hydration behaviors, and self-report measures of adverse outcomes experienced by participants during hot yoga. Associations between hydration encouragement, protective behaviors, and adverse outcomes were analyzed through Chi-square tests. Results: Every protective hydration behavior was significantly associated with instructor encouragement (P < 0.05). Hydration before or during hot yoga participation was associated with a lower occurrence of dehydration symptoms (P < 0.05). Conclusions: Hot yoga instructors hold a key role in encouraging hydration and student safety outcomes.